Would you like your paper carriers printed? to keep heat in and not require the use of a clutch or wrap. Doran Packaging is a well-established, family-owned and run business with over thirty five years’ experience in sourcing and supplying packaging both locally and nationally. Our broad range of products, including paper carrier bags, twist handle carriers, disposable cups and bubble wrap, meet the needs of a huge spectrum of businesses large and small, from food wholesalers, fashion boutiques, retail outlets and internet sellers to butchers, dentists, restaurants and factories. 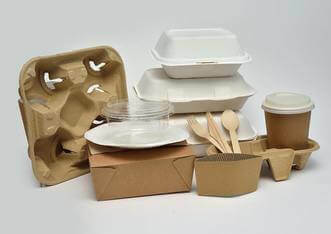 We also have an ever-growing range of environmentally friendly packaging products including compostable cups, food boxes and containers. Whether you run a small internet business from home, an industrial or multi outlet company, or you just want party bags for your wedding, you will find what you’re looking for here. What's new in the world of packaging? This blog looks at the Government’s war on plastic with bold new moves to tackle single use packaging. Environment Secretary Michael Gove announced the bottle and can deposit return scheme moves earlier in the year. He said: “We can be in no doubt that plastic is wreaking havoc on our marine environment. What are the details of the plan? Compostable vs recyclable vs degradable; which packaging do I need? 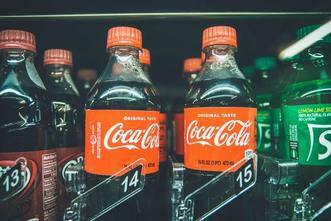 The complexities of how packaging works, and what's truly the top sustainable option can be confusing. Here's Doran's quick explainer on the intricacies. Firstly, it's crucial to define what it is these terms actually refer to. In the UK, there are several different certifications, all of which all claim to set the best standard for 'compostable'. The most widely recognised is BS EN 13432's criteria, which among other elements sets times for how quickly packaging breaks down, and sets criteria for safe levels of chemicals in the end compost. So, it’s almost Christmas time, the busiest time of year for retailers. As customers flock through your doors, have you thought about gift packaging options for their purchases?